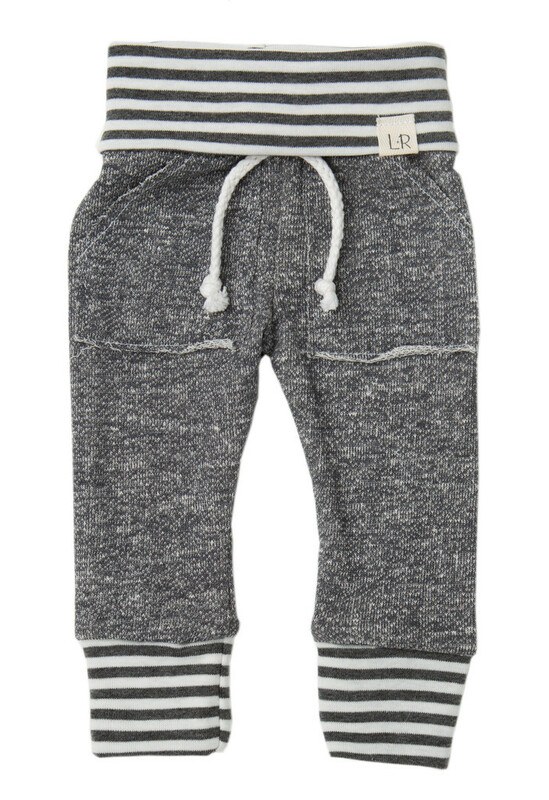 Lulu & Roo Dark Grey Jogger Outfit | Find Cute Terrycloth Jogger Outfits for Babies! Our items are handcrafted using only the finest fabrics. All seams are serged for a professional finish and added durability. Made with premium french terry and rib knit. 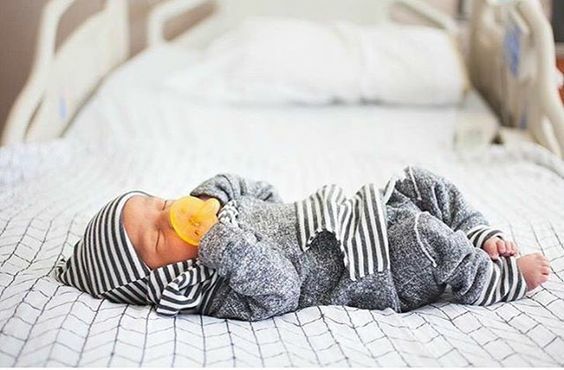 They are buttery soft to the touch and gentle on your child's skin. 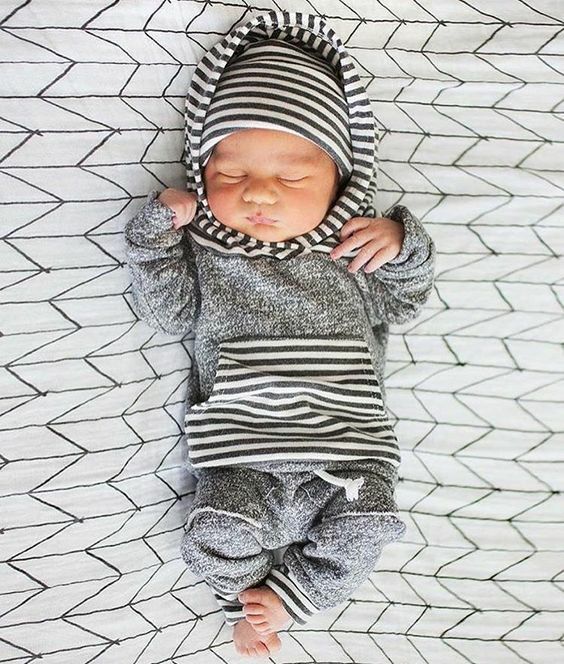 They have a comfortable stretch for your little one. Run true to size. 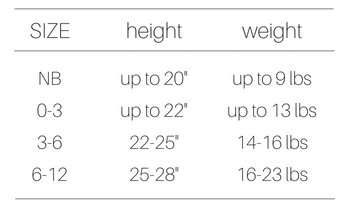 If in between sizes we recommend going up in size for growing room. Turn inside out and wash in cool water. Hand or gentle cycle. Lay flat to dry or tumble on low. Warm iron to remove wrinkles. 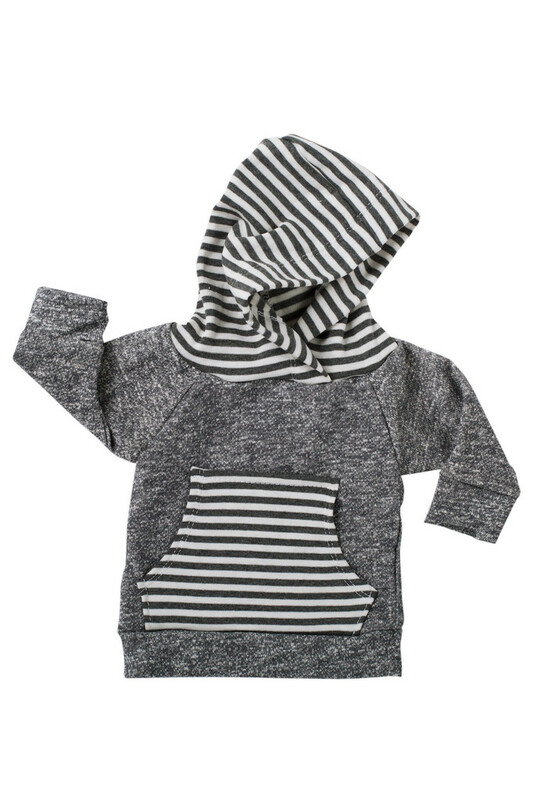 Made from soft french terry and stretch rib knit. Includes hoodie & matching sweat pants. Hat available separately - you can add it here. 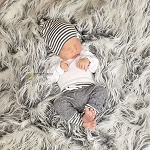 This outfit is SO darling and makes the perfect gift. 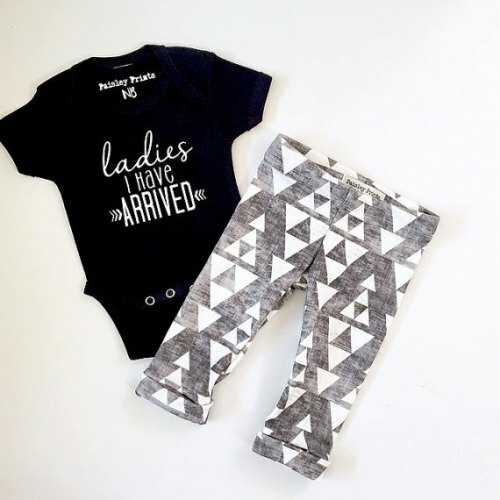 It definitely steals to show at any baby boy shower! Also, I love that its handmade in the USA - You get what you pay for! !